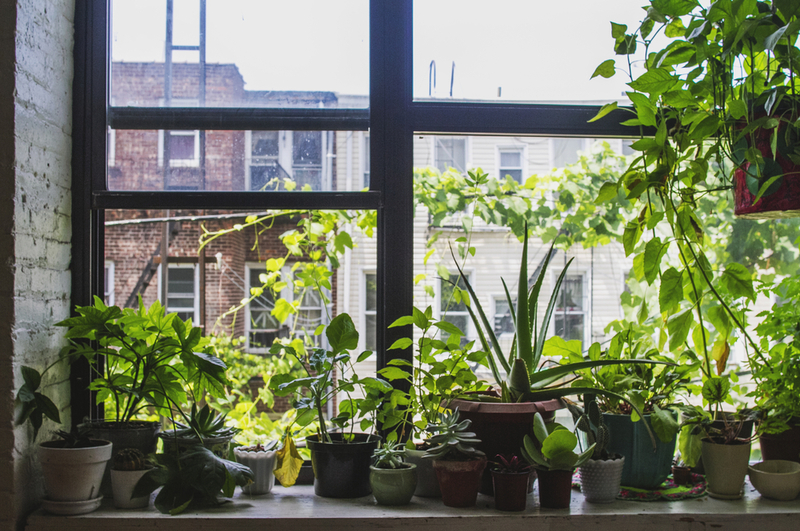 You’ve still got a few days left to set up your windowsill garden for wintry success. Old Man Winter limits most of us from gardening year-round. Growing vegetables indoors is impractical without an expensive greenhouse — except for herbs, which grow big enough for a satisfying harvest with minimal space or attention. Pick up a selection in fall before nurseries clear out their stock for winter. And follow these tips to make sure they thrive. A large south-facing window is ideal for an indoor herb garden, as most varieties require at least four to six hours of direct sunlight each day to thrive (mints can get by on less). Lacking this, you must supplement the available natural light with artificial light or the plants will quickly become stunted. Unfortunately, the average light bulb won’t cut it. You need grow lights designed specifically for the purpose. The good news is that these are affordable, readily available and easy to install. Plus, Modern Farmer has published a guide with everything you need to know. This is a matter of available space. If you’re short on it, choose from smaller herbs like basil, thyme, oregano, mint, chives, savory and dill. Rosemary, lavender and sage are options if you have a bit more room. Bigger is always better — you won’t produce much in the 3-inch pots that herbs are often sold in. If you have the space, transplant the herbs into one-gallon plastic pots, which will give them enough room to grow until spring. To prevent messes — and avoid an eyesore in your living space — purchase an attractive planter deep enough to conceal the plastic pots. Line the planter with sheet plastic so that water cannot spill out the bottom. With indoor herbs, it’s not always enough to simply water when the soil is dry. For best results, mimic rainfall by spraying down the leaves in the kitchen sink once a week. Alternatively, spritz the foliage with a misting bottle every few days. Feed every few weeks with a natural liquid fertilizer; products intended for houseplants are generally sufficient. If insects like aphids or whiteflies appear, spray them with diluted soapy water — find our instructions for this all-natural insecticide here. Cut off basil flowers to keep plant producing new leaves. Rotate plants once a week and loosen soil every two weeks. Lemon balm grows well also.